Vincent Verhoeven has just taken out the latest race in France, claiming the 16km (10 mile) downwinder on the weekend. 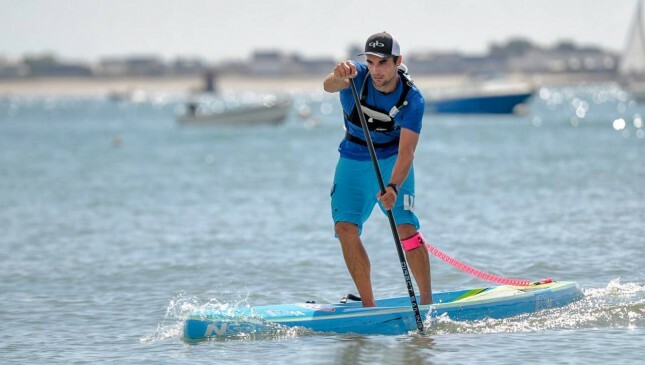 Held in Morbian, a region in the northwest province of Brittany that’s home to a good chunk of France’s top paddlers, Vincent ran away in the light bumps to claim victory after 1 hour 35 minutes. A few of France’s top names were missing, however Vincent overcame a couple of very experienced rivals in Greg Closier and former Team France representative Gaetan Sene. Little bit of trivia: Vincent was paddling the same 14′ NSP ocean board that Travis Grant powered to victory at Carolina earlier this year. Amandine Chazot was the quickest of the women, coming home in a time of 1:51:02. The race in Morbian was part of the French Championship tour, with a series of qualifying races leading up to the “Championnats de France” (French National Titles) on October 17 & 18. That event will go a long way to determining the lineup for Team France at the 2016 Worlds. 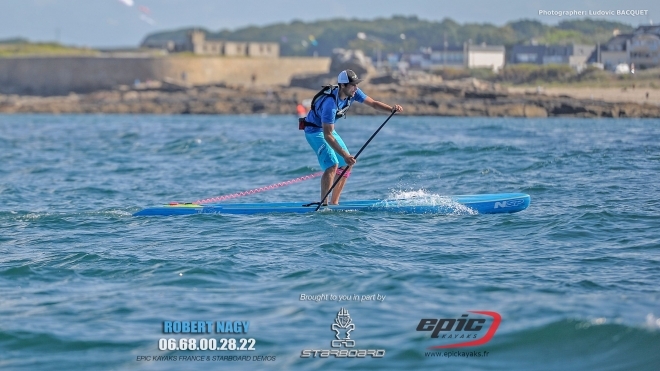 France has long been the powerhouse of European paddling and is definitely a top five nation internationally. Les Bleus finished 11th at this year’s Worlds but that was only because they lacked a prone paddleboarding division. On the adjusted SUP only rankings, France would have finished 4th behind the USA, Hawaii and Australia. The country is also home to a surprisingly good downwind scene. There have been dozens of solid runs documented around the country, and there are probably dozens more waiting to be explored.